I specialise in Database Design and Optimisation. Extensive experience working with databases that support a wide range of business applications enables NDMS Consulting to be able to provide expert services in the design of database solutions for any corporate requirement. From simple Microsoft Access databases through to complex relational Microsoft SQL Server databases using the very latest in database technologies to provide robust, scalable and reliable data storage and analysis. 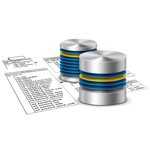 Database design is the process of producing a detailed data model of a database. The term database design can be used to describe many different parts of the design of an overall database system. Principally, and most correctly, it can be thought of as the logical design of the base data structures used to store the data. In the relational model these are the tables and views. In an object database the entities and relationships map directly to object classes and named relationships. However, the term database design could also be used to apply to the overall process of designing, not just the base data structures, but also the forms and queries used as part of the overall database application within the database management system. Determine the data to be stored in the database. Determine the relationships between the different data elements. Database Optimisation is a process used to improve the overall performance of a database, and lessen the load on the hosting server and is an important part of database maintenance in any organisation. 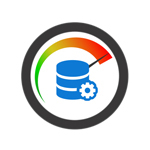 There are many steps and approaches involved when improving a databases performance. Usually the first step is talking with the users and identifying the slow or painful parts of a website or application. Ensuring the correct data types are in use. Appropriate use of Reference Tables. Stored Procedure and View Optimisation.